As a general policy, with the exception of IP addresses, no Personal Information is automatically collected from visitors to the Nimman Thai Cuisine website. 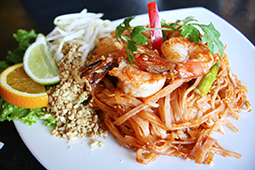 Nimman Thai Cuisine may gather and analyse IP addresses and certain Information of a Non-Personal Nature regarding website usage by visitors to the Nimman Thai Cuisine website. Such data is used in an aggregate form to assist Nimman Thai Cuisine in determining general usage patterns and to administer, diagnose problems with, and fine tune the layout of the Nimman Thai Cuisine website. We may share non-personal, summary, or aggregate customer data with partners and other third parties at our discretion. 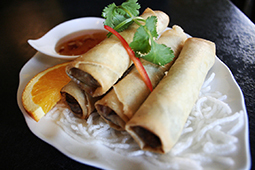 Certain Personal Information may be voluntarily and knowingly provided to us by visitors to Nimman Thai Cuisine. When entering a contest or requesting information, for example, we will ask you for your name, e-mail address, mailing address, telephone number, as well as certain other information. Nimman Thai Cuisine may use Personal Information to contact you, to process and store the Personal Information so that we are able to better understand you and how we can improve our products and services, for editorial, feedback or other fully disclosed purposes, such as to enter you into a contest, respond to a future on-line order or respond by e-mail to an inquiry that you posed on-line. We may also match your Personal Information that you provide to us on this website to information contained in our database. Your Personal Information may also be used by Nimman Thai Cuisine, or any other division of Valanimman Inc., to contact you regarding other products or services which may be of interest to you (including those that we may offer jointly with other companies). Nimman Thai Cuisine reserves the right to access and/or disclose Personal Information where required to comply with applicable laws or lawful government requests or, in Nimman Thai Cuisine’s reasonable opinion, to operate the Nimman Thai Cuisine website properly and securely, or to protect Nimman Thai Cuisine or visitors to this website. Nimman Thai Cuisine, acting reasonably, shall attempt to obtain the prior consent of the individual to whom such Personal Information relates prior to disclosure to third parties. Your Personal Information may be stored on servers hosted in the United States or otherwise outside of Canada. 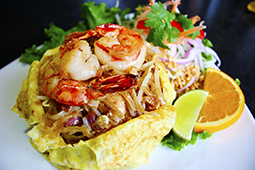 Nimman Thai Cuisine is very sensitive to privacy issues and is committed to protecting the on-line privacy of children and making the Internet safe for our users. As a result, no Personal Information should be submitted to or posted on this site by children under the age of 18 without their parent’s or guardian’s permission. In addition, if a user younger than 18 wishes to send us Personal Information, he or she must first give us his or her parent’s or guardian’s e-mail address so that we can obtain their permission, or have the child’s parent or guardian consent on his or her behalf. No Personal Information will knowingly be accepted from a child under 18 before this permission is obtained. 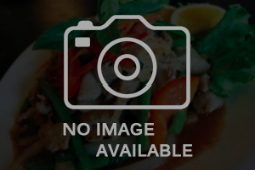 Be assured that Nimman Thai Cuisine will not condition a child’s participation in any website activity on the child’s disclosure of more Personal Information than is reasonably necessary to participate in that activity. Attention: Nimman Thai Cuisine Privacy Officer.